Early bloomer. 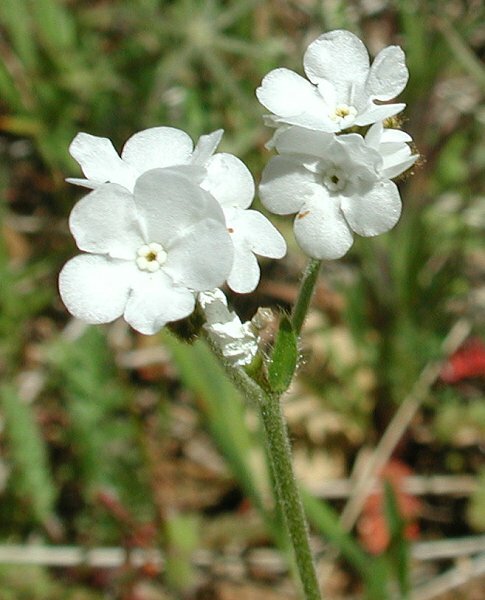 Five (5) white petals, yellow centers, resembles a Forget-Me-Not. May release a purple dye, which the Maidu used for this purpose. Notes: Borage family. 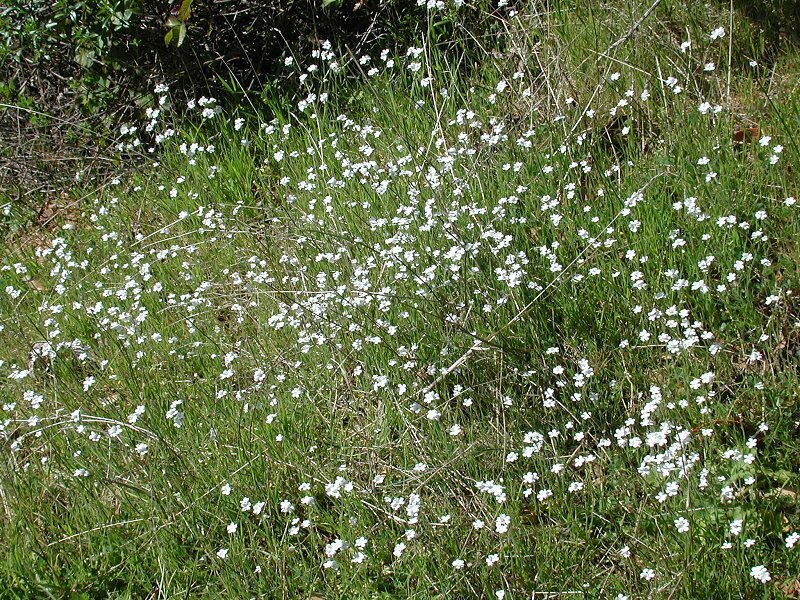 This plant can be distinguished from canyon nemophila, which also has small, white 5-petaled flowers, by its tall stem. Also, the name popcorn describes its tendency to appear in clusters which resemble popcorn. If you look very closely, you will see a 5-lobed washer at the center of each bloom (this is apparent in the second photo below).